Leash training is a part of life for just about every puppy. By the time the puppy is a few months old, it is happily walking on a lead and learning basic commands. The same training rarely takes place with cats, however, a small number of cats are trained to accept a leash or walk on a lead. 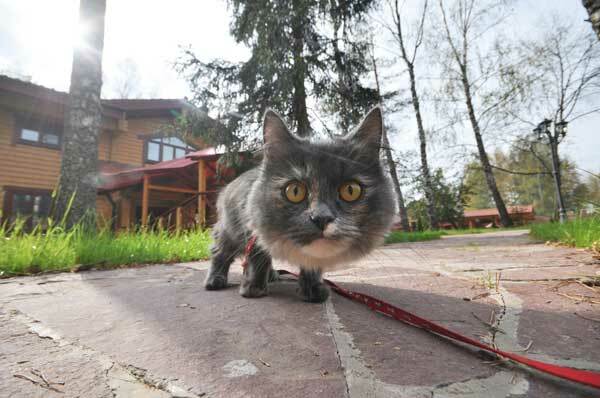 Training your cat to walk on a lead has a number of important advantages, even if you never plan to take your kitty for a stroll around the neighborhood. Teaching your cat to walk on a leash will make every trip to the vet easier to manage and less stressful. If your cat knows how to behave on a lead, you will be able to manage it more effectively when at the vet, and there will be far less chance of an escape or mishap during the office visit. 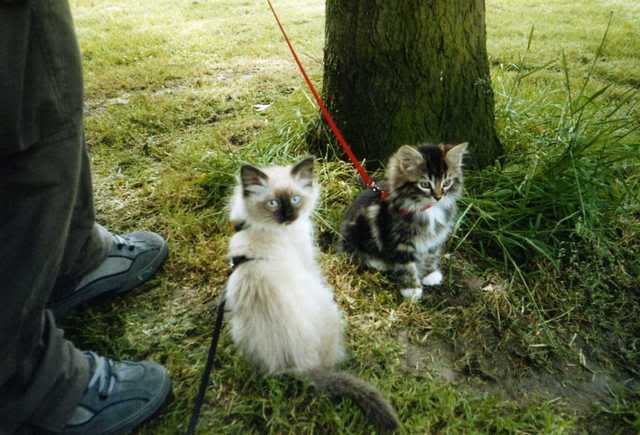 Leash training your cat will also allow you to go out an about with your pet without worry. Many pet stores encourage owners to bring their animals along when they shop; if your cat can walk on a leash you can enjoy a leisurely shopping trip and let your pet pick out its favorite treats. Teaching a cat to walk on a leash can be much more difficult than leash training a dog, but it can be done. Cats may not take to the leash as naturally as dogs, but they can learn to accept a harness or collar and even be taught to walk calmly on a leash. You can start by introducing your cat to a collar or harness as early as possible. There are many great kitten collars and harnesses on the market, and they can be sized to even the smallest kitten. At the beginning, simply let the cat wear the collar or harness around the house, and give lots of praise while it is wearing the device. 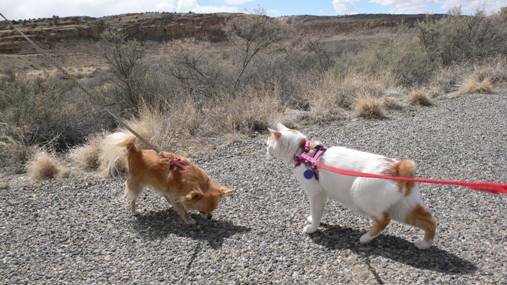 A harness is a particularly good choice for leash training, since it is safer than a traditional collar. Using a harness is important if you will be taking your cat outside; a collar is easy to slip on and off, but the design of a harness is very secure. Once your cat is comfortable wearing the harness, attach the leash and just let your cat roam around the house. Do not attempt to direct the cat at this point; simply let your cat go where it wants and follow it around as it explores. The goal of this part of the training is just to get your cat used to the experience of wearing the leash and harness. After the cat is comfortable with the leash attached, you can start trying to direct its movements. This part will take time and patience, and frequent short sessions will accomplish more than longer training periods. You can use treats to direct your cat and start introducing the concept of walking on a leash. Attach the leash and place a favorite treat just out of reach. Allow your cat to walk to the treat while you follow, and continue the process until your cat is actually walking on the leash. This training will take some time, but making it fun for your cat will also make it more effective. Playing with your cat, scratching it behind the ears and giving it lots of attention will all help reinforce the idea that the leash is the greatest thing in the world. That will make leash training more fun for you and your cat.